There’s nothing like a hearty sandwich to satisfy a grumbly belly. Whether for lunch, a simple dinner, or even an easy-to-prepare breakfast, sandwiches make for the perfect meal to eat at home or on-the-go. There are hundreds of delicious sandwich combinations to choose from, but some of the most scrumptious ones start with two thick slices of fresh and soft challah bread. ChallahGram makes an exceptional challah that pairs well with any sandwich filling you can think of. 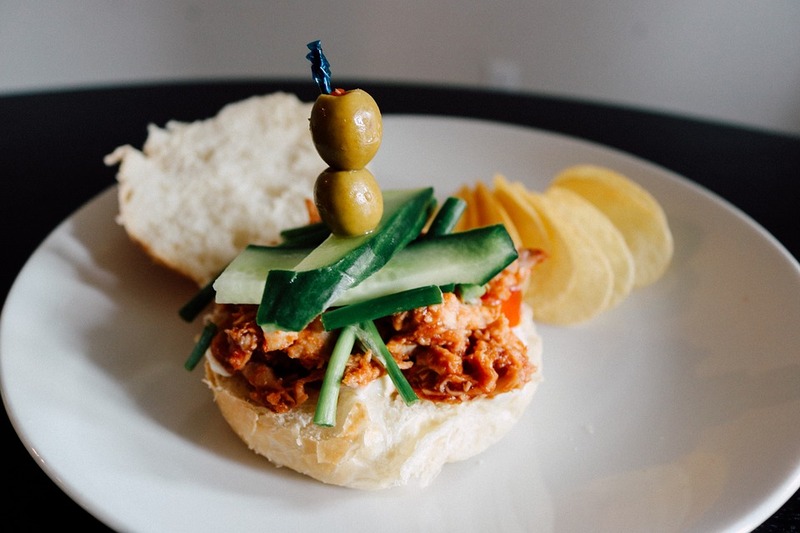 If you’re inspired to try something new, take a peek at these sandwich recipes below, all using ChallahGram’s tasty challah bread as the base for a meal worth sinking your teeth into. Lay one thick slice of challah flat and spread a thin layer of goat cheese, ricotta, or light cream cheese over the top. Next, lay a slice of romaine lettuce or a handful of mesclun greens on top of the cheese and add a sprinkling of salt and pepper. Now, add a layer of thinly sliced ripened tomato, roasted red peppers, and red onion. Top with a slice of Swiss cheese and a small handful of bean sprouts for added crunch. Drizzle with a touch of olive oil and balsamic vinegar and place the other slice of challah on top to close the sandwich. Slice in half and sink your teeth into a garden of goodness! 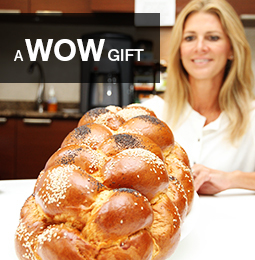 Of course, start with the best bread of all – a thick and soft slice of ChallahGram challah. Spread a generous layer of your favorite nut butter such as almond, sunflower seed, cashew, or the traditional peanut butter on top of the bread. Next, drizzle some honey over the nut butter and smooth out with a butter knife. Slice an apple thinly and layer over the honey and sprinkle with ground cinnamon and a dash of raw sugar. Spread a thin layer of orange marmalade or strawberry preserves on the other slice of challah and place spread side down to top the sandwich. Slice and savor! A fresh tuna fish sandwich is always a crowd pleaser, and when it’s made with thick challah bread, this seafood delight is even yummier. Here’s how to make a tuna sandwich like you’ve never had before. Toast two thick slices of ChallahGram bread until golden brown and set aside. Prepare a small can of solid white tuna with mayo, Dijon mustard, chopped celery, chives, diced onion, and salt and pepper to taste. Place a large scoop on one slice of the bread and flatten with a fork for complete coverage. Top the tuna with a layer of slivered sun-dried tomatoes packed in oil and a few slices of butter lettuce. Top with the other slice of bread, cut the sandwich in two, and delight in a terrific tuna sandwich! So are you ready for a sandwich like none other? Challah makes any sandwich great… even “breader” than before!